Reply to a new study of Medscape shows that 44% of doctors meet the criteria for burnout, up from 42% in last year's report. In addition, 11% were held throughout life or sad and 4% are clinically depressed according to Medscape National Physician Burnout, Depression and Suicide Report 2019. The responses show that 14% have had suicidal thoughts but have not tried it and 6% said they preferred not to respond. Study authors note that a doctor per day dies of suicide, the highest degree of any profession. According to this study, 1% of doctors have tried it. Medscape members and nonmembers were asked to take the online survey; 15,069 doctors across 29 specialties completed it from July 27 to October 16, 2018. Most people who have had suicidal thoughts (58%) tell anyone and that person is most often a therapist (34%) or a family member (33%) answers the answers. Independent urologists reported the highest percentage of burned out physicians (54%), followed closely by neurologists (53%). Public health and preventive medicine doctors have at least 28%. Last year, critical care physicians and neurologists had the highest burnout rates, with 48% each. Urologists also had the second highest percentage (76%) of doctors working more than 51 hours in the study. Only general surgeons had more of 77%. Women had much higher burnout in the study (50% versus 39% for their male counterparts). Several things can explain it, said Carol Bernstein, MD, a psychiatrist at New York University's Langone Medical Center. Among them are women who are typically more likely to admit the problem and that women carry disproportionately more childcare and household responsibilities. A female family doctor experiencing burnout that responded to the study, said: "I have medical problems as a result has recurrent miscarriages." Others gave examples of other side effects. An anesthetist said that due to burnout, "I drink more and become less active." "My relationships have withered … my family is frustrated," wrote a general surgeon. "We rarely make plans to do anything social, as they are likely to be canceled." When asked what leads to burnout in their lives, 59% of doctors said too many administrative tasks. The next most common answer was to spend too much time at work (34%) and increased computerization of practices, such as. Use of electronic health records (32%). An intern wrote, "Burnout is mostly due to lack of sleep because EHR takes so much time. I used to map a patient in 5-10 minutes for established patients. Now it takes 20-40 minutes to charter on An established patient. " 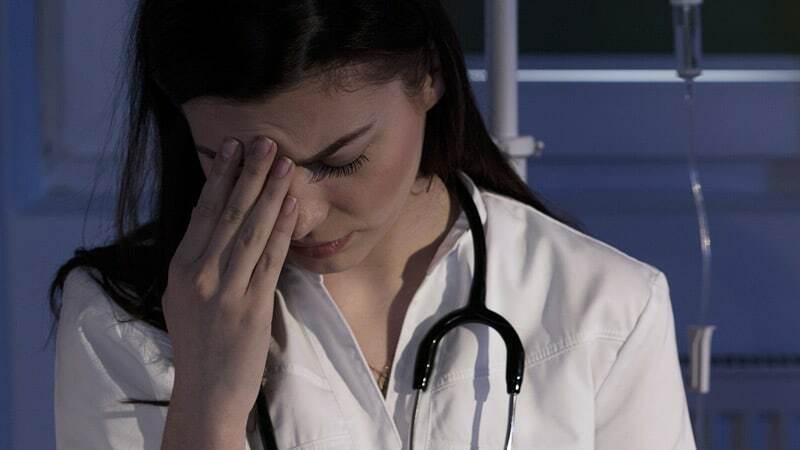 Burnout The figures were similar in the practice settings, whether in health organizations, hospitals, outpatient clinics or in academic settings. The prevalence fell between 42% and 49% in these settings. The prevalence of burnout among solo practitioners was only slightly lower, at 41%. When asked how the clear burnout was, the doctors' top response was exercise (48%), followed by talking to family and friends (43%) and isolating themselves (41%). Those who reported depression were asked if it affects their patient care, and 53% said it did. More than a quarter (26%) said it made them less motivated to take careful and thorough patient notes, and 14% said they had made mistakes that they might not otherwise have done. Of those who report burnout or depression, only 16% said they were seeking help or planning 64% said they would not seek help and did not do so earlier. By specialty, psychiatrists and people in public health / preventive medicine were most likely to seek help (45%). The study slideshow author writes: "Especially of the least likely to seek help were three groups among the top five with the longest hours: surgeons [17%] nephrologists [19%] and urologists [20%]." What specialists are most happy at work? The study also asked them about the front page – the happiest one. Plastic surgeons were at the top (41%), followed by those in public health / preventative medicine (40%) and ophthalmologists (39%). At least they were happy in physical medicine and rehabilitation (19%) internal medicine (both with 21%).